Frost is definitely a keep all the lights on and possibly have some sort of background noise playing while reading type of book. Leena Thomas is starting her senior year at Bancroft Academy. Thanks to some persuasion and a little luck, Leena and her best friends are going to live in Frost House - a cozy, four person dorm on the edge of campus. But before they can settle in, Leena learns that eccentric, antagonistic Celeste Lazar will be living with them during the fall semester. Within days, strange things start happening at the dorm. Small things at first, things that Celeste blames on Leena and her friends, sure that they want her to leave. Leena attempts to keep the peace between the residents of Frost House, but soon stranger things start to happen and Celeste insists that she feels someone is watching her, wants to hurt her. 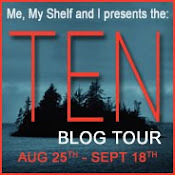 As more odd things happen and Celeste becomes more insistent that the house itself is causing them, Leena finds that she doesn't feel as safe or at home as she once did at Bancroft, except for when she's at Frost House. Can Leena work out where the threat is coming from before it's too late? Before, I read Frost, I had heard (read) that creepy was the perfect description for this book. After reading, I will add my voice to those who have called Frost creepy. It's creepy in the same way you might feel when you repeatedly look over your shoulder because you are convinced that someone is looking at you even though no one is there. Mixed in with the creepy, there was an interesting mystery and the slow realization that the narrator might not be as reliable as you initially thought. Leena seems like she is a pretty together girl. She started a peer-counseling program at Bancroft, she has a close group of friends, likes design and do it yourself projects. As things start to happen at Frost, her reactions had me worrying about her. Then there were the pills, the self-medication, which made me question just how much of the story the reader was really seeing. How skewed was Leena's version of what happened? Marianna Baer does a great job of keeping the reader guessing. It isn't very clear who or what was behind the goings on at Frost House and getting the answer to this mystery kept me turning the pages. Even after the ending a good number of questions remain, but I'm okay with that. I look at Frost as a book that makes the reader question if they believe in ghosts (or some type of supernatural entity) and/or haunted houses. One thing that did bother me was the adults. The house counselor, Ms. Martin pretty much states that she expects the girls to look after themselves and to only go to her for emergencies, which seems a bit extreme. Yes, the girls are seniors, so theoretically they could have been mature enough to handle a lot, but at the same time they are still teenagers. It makes me wonder if Ms. Martin had been more available, would Celeste have felt comfortable telling her about her concerns. And then there was the Dean of Students, who at first seemed almost like a parental figure to Leena, but as the book goes on becomes more and more disappointed with her actions and appears to distance herself. But, again since the reader sees everything from Leena's point of view, exactly how involved was Dean Shepherd in Leena's life? 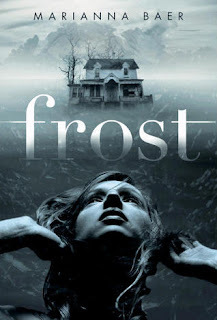 Overall, Frost is a wonderful addition to the psychological/mystery/supernatural category. I would recommend Frost to those who like their scary stories on the creepy side. Stories with unreliable narrators are so interesting. Part of me feels that you should be able to trust the person telling the story, but I guess that would defeat the purpose of many plots. I love creepy, so I hope to be able to get to this.